Happily Ever Rushed: What Should You Ensure Before Finalizing the Event Catering? What Should You Ensure Before Finalizing the Event Catering? Lauren is sharing her ideas on event catering. Cocktail party, baby shower, wedding. If you are in need of catering these are some good thoughts on how to have a successful event. Whatever be the occasion – a birthday party, anniversary, fundraising gala, wedding reception or product launch, the food that is served is of prime importance. It is one factor that can make the event a marvelous success or else ruin the entire event. 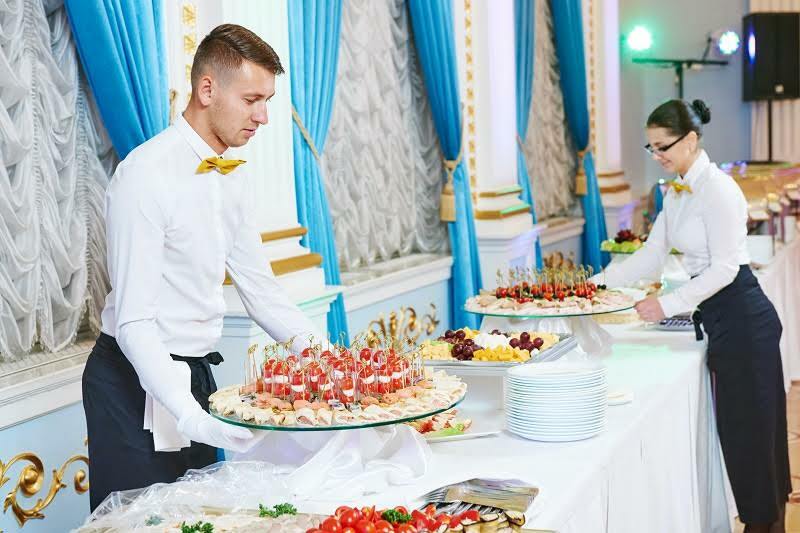 This is where you need to hire an event catering services to make sure that everything is carried out in a smooth and efficient way, and all the guests attending the event and happy and satisfied. The caterer should have a tasting menu where you can get to sample the food that they will be offering in the event. The quality and the presentation of the food should also be experienced during this phase. You need to make sure that the event catering services or company meets your specific standard per the occasion and genuine desire to please the person with regards changes in the menu if needed and offering a menu to match the price. The catering company should be able to offer references and they should also be able to inform you of events that they will be catering for; these details will give you a lead to speak to the past and future clients about the services. The event catering company should know about the food, the ingredients which go into each of the dishes, where he or she procures the raw material from, so on and so forth. If they are familiar with the venue, then there is an added advantage as they will know the do's and don’ts and the layout of the venue. In addition to getting the right caterer on board and hiring the right event catering services, there are a few other important things you need to consider as finding out more details about caterers from family and friends and the potential pitfalls one should avoid. The choices should be narrowed down to companies that not only meet your budget but also one that does not have a history of bad reviews, ratings, violations and complaints. The budget should be decided before you even think of employing the caterer and the caterer should be informed well so that he or she can work backwards and tailor make the menu as per the amount that is available. Based on the kind of event, the menu options should be chosen. If it is a picnic, a 3-course meal will be totally inappropriate. If it is a formal dinner, sandwiches will be totally out of place, so on and so forth. So, you need to make sure that everything is appropriate per the occasion. The size of the staff is important when hiring the event catering company. The size will be dependent on the type of food service – buffet, sit down service etc. There are also caterers which offer bar tending services and they have staff that can handle the bar as well. It is also good to check if there are complaints or issues with regards the catering undertaken by the caterer in the past. Only those caterers that are licensed and do not have complaints or violations should be chosen. When you want to narrow down caterers, you need to also consider the cost of their service. The quote should be specific and include all the fees, staff cost, taxes in addition to the food costs. There should be no hidden surprises. The contract for event catering should always be signed with specifics mentioned including clauses in case the contractor is unable to provide the service and the contract should also mention the threshold that will be charged should there be lesser number than anticipated guests. I am Lauren Bracy, a qualified blogger. Here you can see my skills which gives you small ideas on understanding all the concepts with different themes. I love to write blog on different topics, like: food, health, home décor, Automotive, Business, Lifestyle, Finance, Flowers etc.